PARLIAMENT – The Minister for Justice and Constitutional Affairs, Maj Gen (Rtd) Kahinda Otafiire, has said his ministry needs UGX13.5b to table and implement electoral reforms. On January 30, Parliament gave government up to the end of April to have tabled the electoral reforms, which were recommended by the Supreme Court in its ruling on the presidential elections petition filed by former Prime Minister Amama Mbabazi in February 2016. 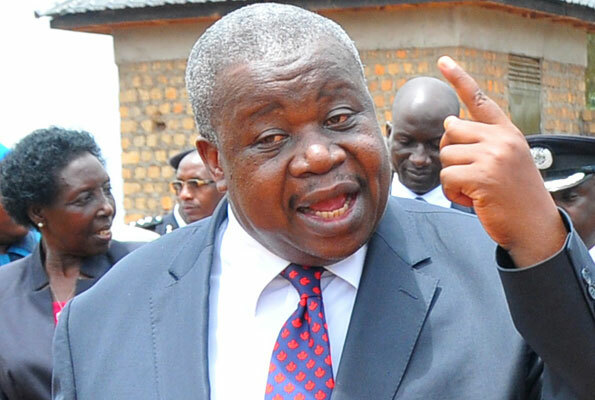 But Gen Otafiire said whereas his ministry needs Shs13.5b to table the reforms, which also include constituting the Constitution Review Commission, the Ministry of Finance has not yet given them the money. “We are ready for the beginning of the exercise but Finance has been a problem. So we wait. Now, in the event that the constitutional review delays, it will otherwise constrain the processing of our electoral reforms,” he said. The minister was on Tuesday appearing before the Legal and Parliamentary Affairs Committee to present the Ministerial Policy Statement for Financial Year 2019/20. The MPs on the Committee said public confidence in the credibility of next elections is at stake without the necessary reforms. “The public wants to about the electoral reforms as we are heading towards elections. In fact, they have been coming to the Chairperson of this Committee (Mr Jacob Oboth-Oboth) to ask about these reforms,” said Kitagwenda County MP Abbas Agaba, the Committee chair. MPs also tasked the minister to explain why the elections in the six districts that started on July 1 last year have not held elections. They also tasked to Gen Otafiire to explain why it takes longer for the High Court and Court of Appeal to disposal off election petitions. Ms Dorothy Kabaraitsya, the Kamwenge Woman MP, said that MPs who have pending election petitions in courts of law have failed to settle down in the House three years after 2016 elections. “We are already on a new roadmap but there are still pending cases in court. The MPs cannot serve their people because they are up and down due to unresolved petitions,” she said. Gen Otafiire in his response, denied responsibility for the delayed elections in new districts, referring MPs to the Ministry of Finance which has not released the money. He also said the law bars him as a Minister from interfering with the work of the Judiciary hence not being in position to question judges on delayed delivery of rulings on petitions.